1 Do you like animals? Most people do, but very few are able to have a wide range of pets. Farley Mowat was one of those lucky people who could. He also wrote about them so others could enjoy his experiences as well. 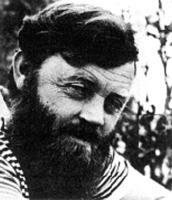 2 Farley Mowat was born on May 12, 1921, in Belleville, Ontario. His father, Angus Mowat, was a librarian. Throughout his childhood, Farley and his family moved around Canada. 3 During the worst part of the Great Depression, the Mowat family lived in Saskatoon, Saskatchewan. Young Farley was able to spend part of his time ranging over the countryside. Among his pets were his dog Mutt, several cats, a Florida alligator, a rattlesnake, a squirrel, two owls, and hundreds of insects. 4 He was already a budding author by age thirteen when he began a newsletter called Nature Lore. He even had a local column in the newspaper about birds.